Expert II is an excellent choice for beginners and provides sign makers/garment decorators with optimum speed, superior quality, solid reliability and unmatched value. 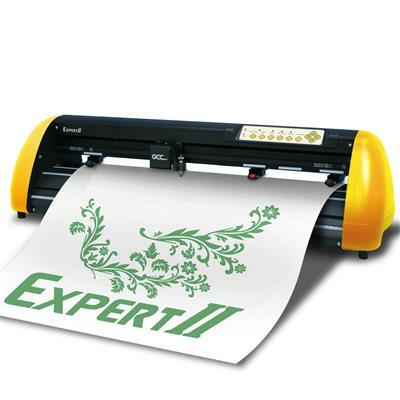 Expert II produces eye-catching graphics with up to 27.8 ips cutting speed, 350g of cutting force and three meters (9.84 feet) of tracking ability. The versatile Expert II vinyl cutter sets a new benchmark for value, offering high accuracy and reliability at an unbelievably affordable price.